New life emerges in a fall of water and light. With this cuff, Wings honors each filament that arises — a flower’s stamen, a feather’s barb, silvered threads, an element made of pure light — all banding together in raised strands of sterling silver ingot buffed to a finish just off Florentine. The long slender band is hand-rolled and -milled, a vanishingly slim raised filament extending along its center, flanked on either side by more subtly-raised lines. 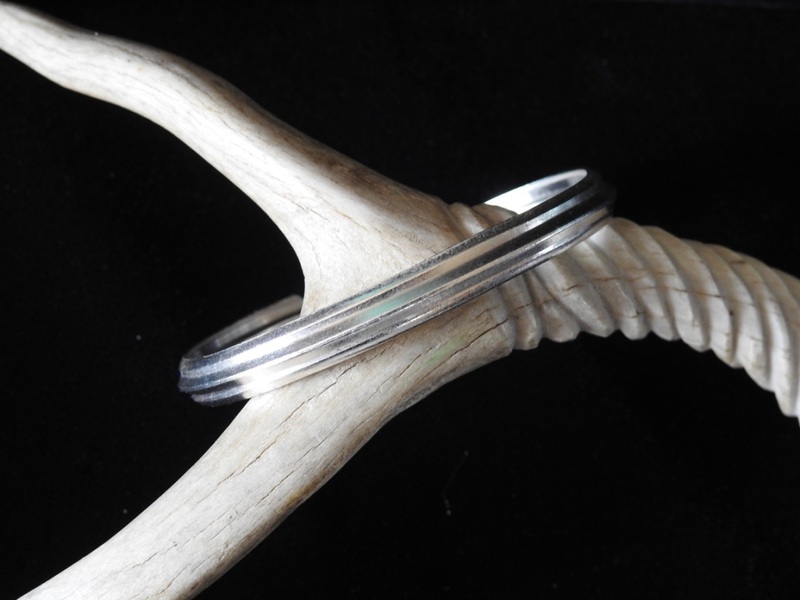 This thin, almost bangle-like cuff is delicate but full of substance, lightweight and easily adjusted. Band is 6.75″ long by 1/4″ across (dimensions approximate). Posted on Thursday, May 10th, 2018 at 1:05 pm. Filed under: Bracelets, Cuffs and Links and Bangles	RSS 2.0 feed.